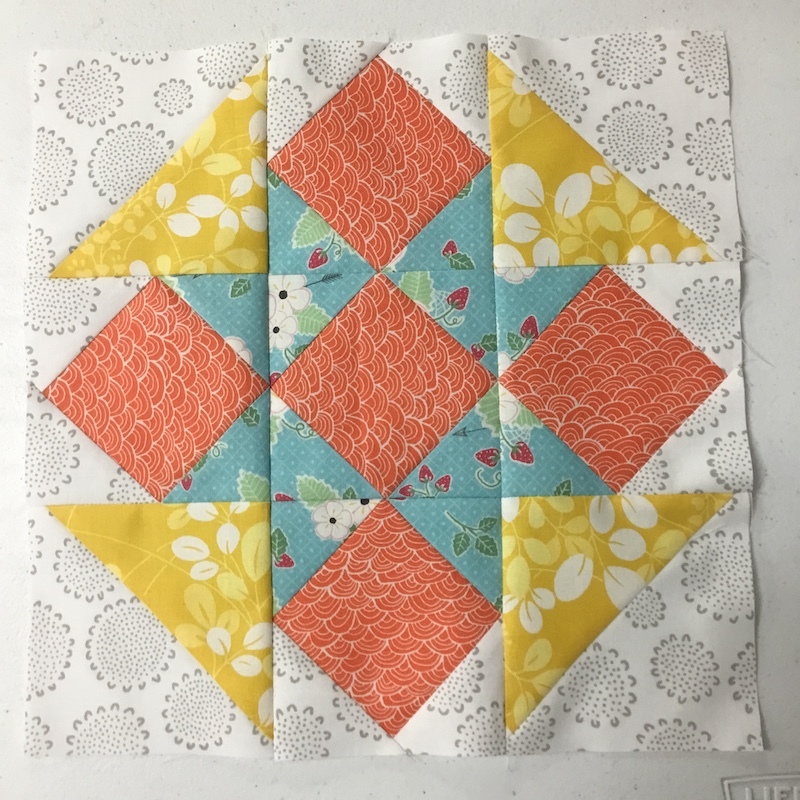 If you’re participating in the Summertime Samplers Block-of-the-Month program through Sew Sweet Quilt Shop this year, we’re already up to Block 6 this month! 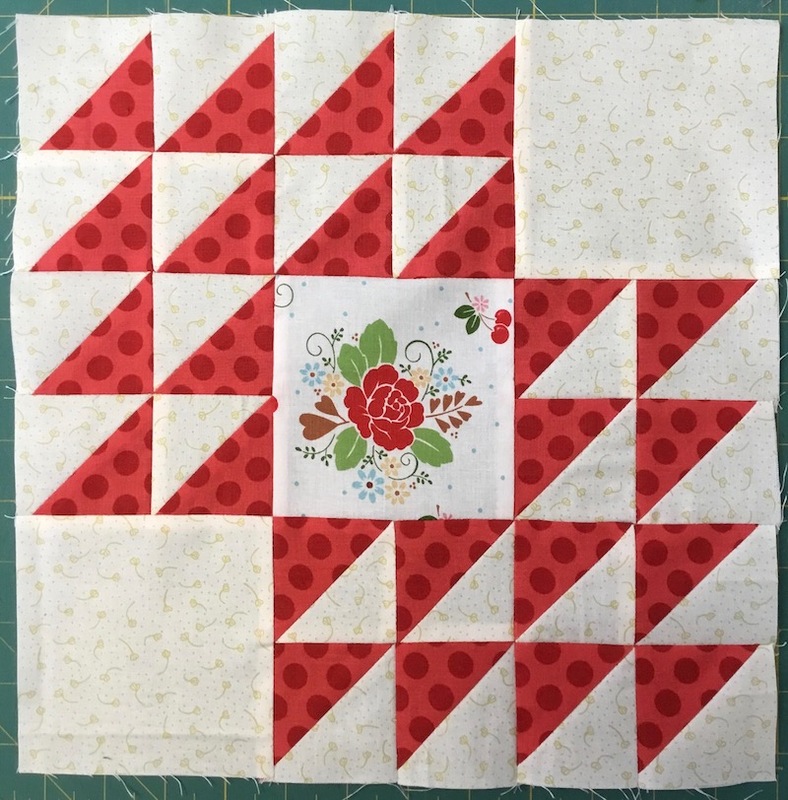 I really, really like making this block, and I think I might make an entire quilt just out of these blocks, done up all scrappy like this. In my spare time, of course! That’s just one more option for you to consider, as well, since you have the booklet with all the patterns. 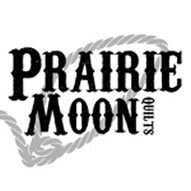 There are so many things you can do besides the main quilts. Endless possibilities! 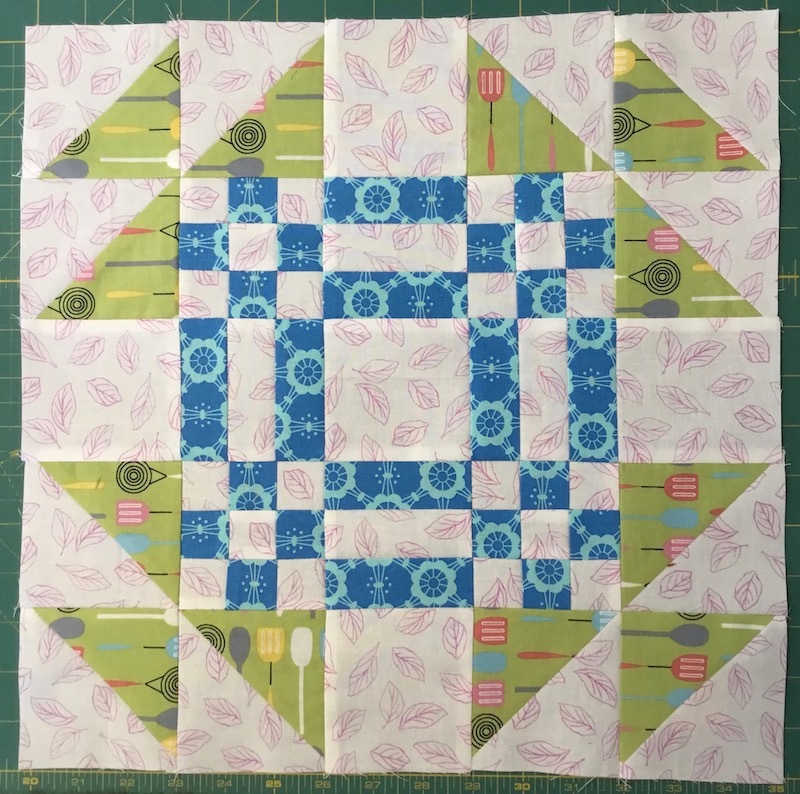 For Block 6, since there’s some strip piecing, I thought you might find this article of some assistance, if you find that you’re having trouble getting things lined up just right: Testing Your 1/4-inch Seam. All using scrappy fabrics. I’m having a lot of fun with this! I hope you are enjoying the BOM so far, too. 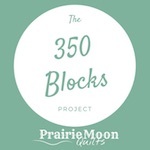 If you’re not participating in the Block-of-the-Month program, but would like to have the patterns, you can purchase the pattern booklet through Sew Sweet Quilt Shop. Just give them a call at 660.548.3056 to order it. 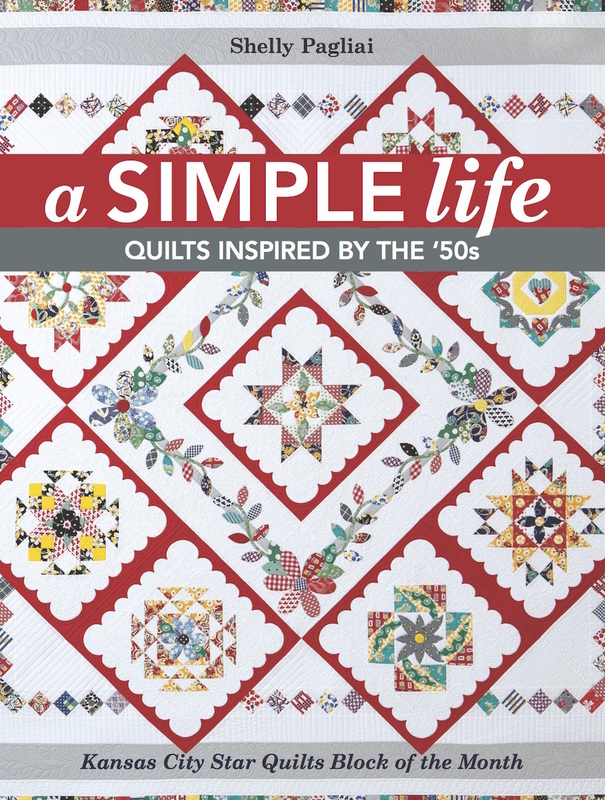 You can see the quilts from the booklet and their setting versions HERE. Ooooohhhhhhhh! I love your scrappy fabric! Now I kind of wish my quilt was in this type of fabric. I’ll still love the blue… But this is super cute! Thanks for the 1/4″ article. I’m always off on my 1/4″ seams. I’ll do this test! What a fun idea, using scraps for making another set of blocks. I need to go count my blocks; I’m not sure I’m on Block 6 yet. Hmm. Picked up my block 6 today! Can’t wait to make it! 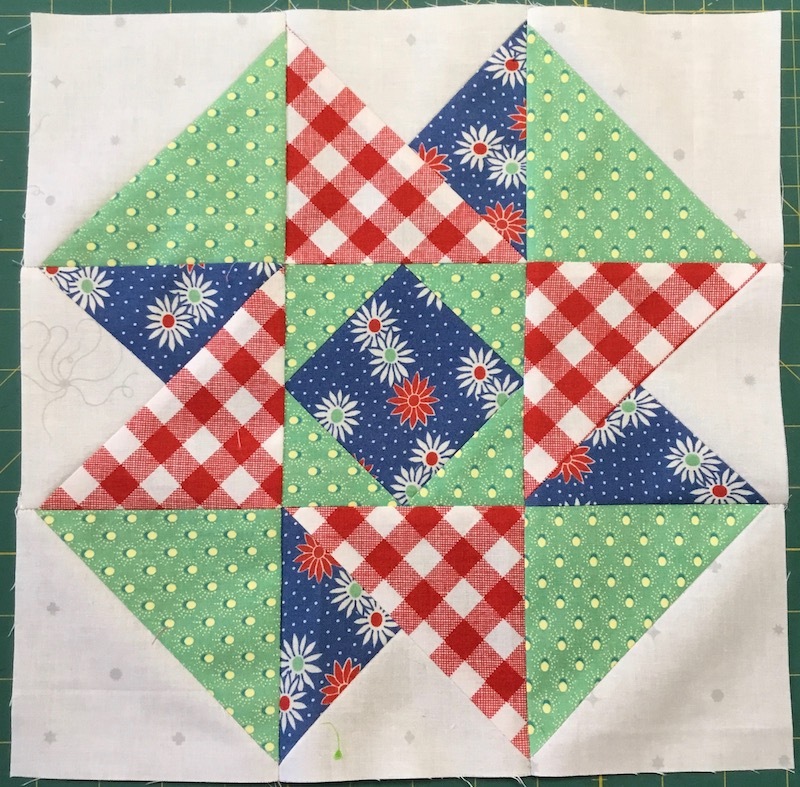 I have the 1st block done! Your piecing is just beautiful!! 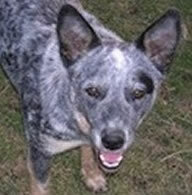 I love scrappy look. Keep at it, Girl. It is wonderful.